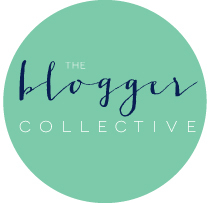 It’s Lisa here, back on the blog after a few weeks off! Life has kept me busy and thankfully, very fruitful. 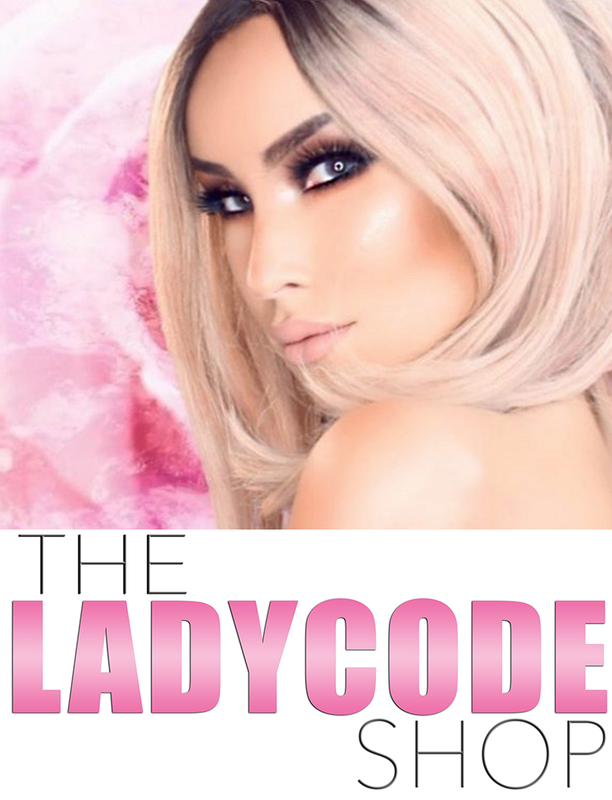 After the breast cancer awareness month kickoff charity fashion show by Vizcaya Swimwear, I was on a red eye to Dubai, UAE to explore a new project. Things are looking absolutely wonderful! 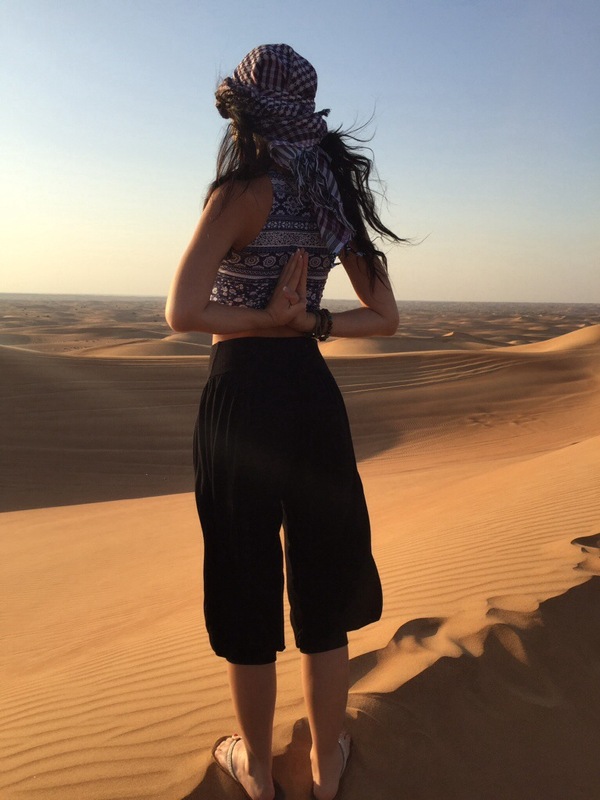 I’ve spent 11 days in Dubai so far (with a week getaway to Istanbul in between!) and I have several more days left here until I jet off to my next exciting location. I can’t share it with you yet but it requires a visa that just very hard to obtain! Let’s pray I get it on time and can safely travel to my next destination. 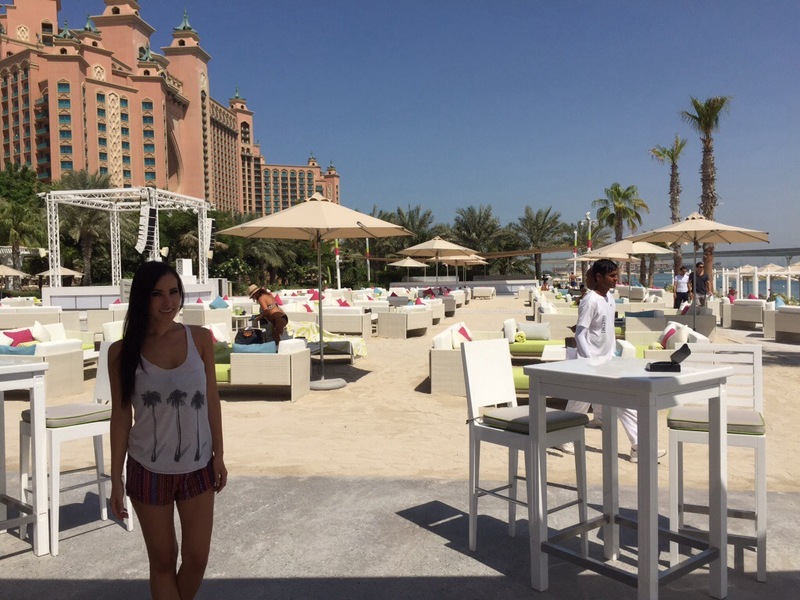 Let me tell you about my Dubai experience! Located in the United Arab Emirates, bordered by Oman and Saudi Arabia. Also shares borders with Iran and Qatar via the Persian Gulf. It is in the Arabian Desert so the climate is HOT. The religion here is Islam and is very conservative. Many women wear head coverings and men wear traditional clothing as well. I dress more conservatively here than I would back in the states. It is respectful to the locals and it keeps from attracting unwanted attention to myself. When I am at the beach, however, it’s just like Miami and bikinis, beachwear, etc are completely fine. 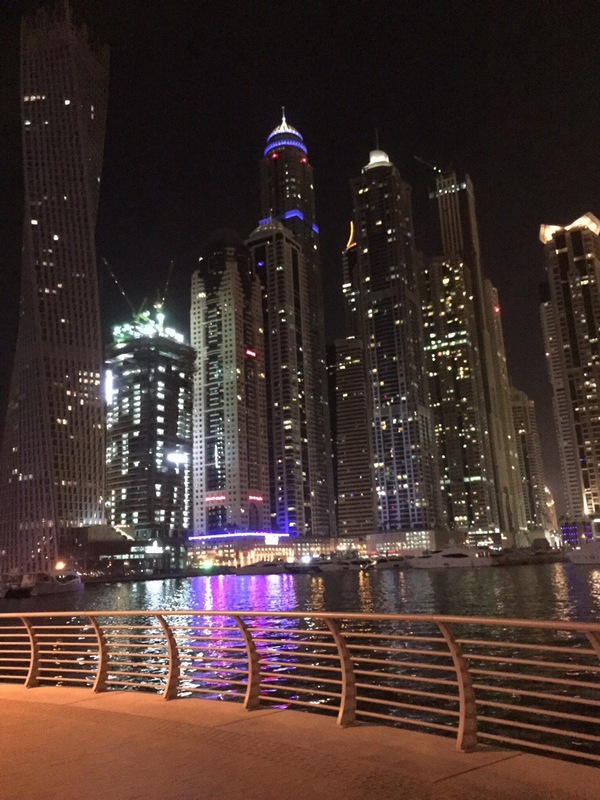 I stayed in the Dubai Marina area, which is basically at the base of the Palm Jumeirah Island. 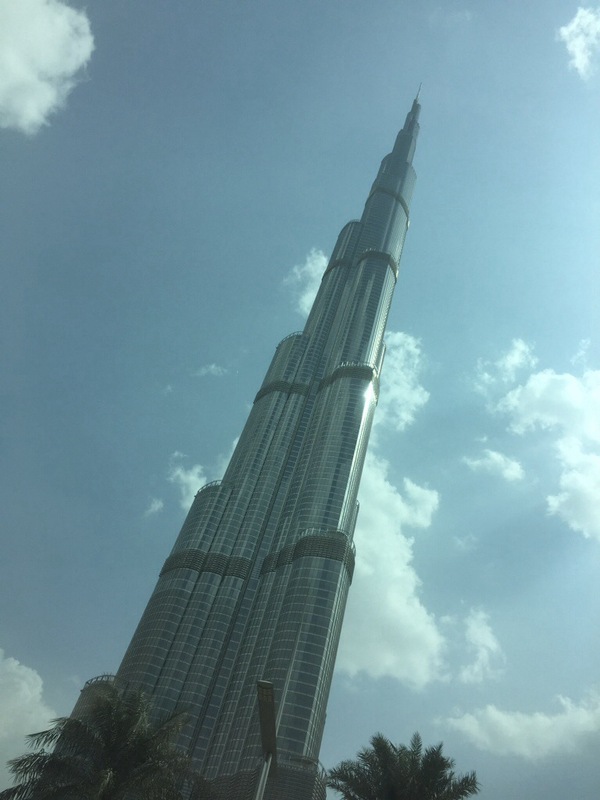 Burj Khalifa: The tallest building in the world. 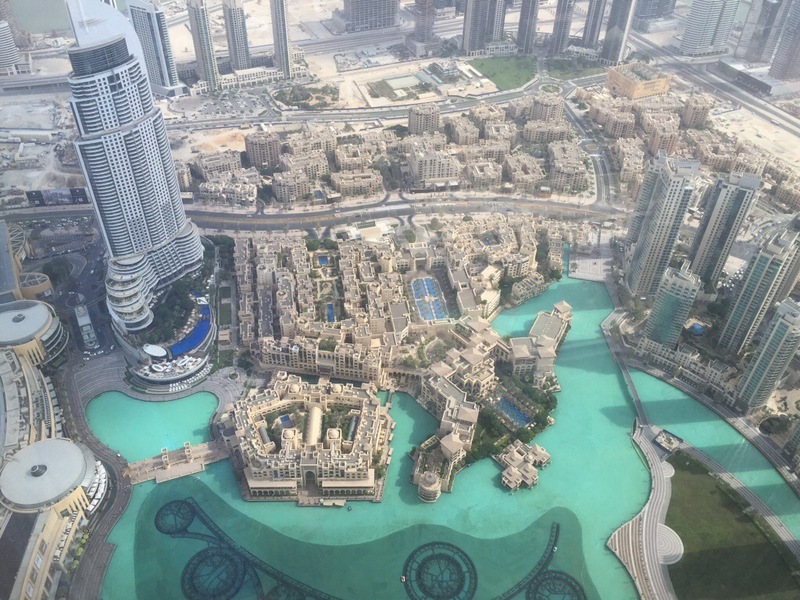 Our hosts took us to lunch at the top floor of the Burj Khalifa, at Atmosphere, the highest restaurant in the world. The view from the top was incredible! Since all the walls are glass, you can see the whole city no matter where you stand. It was a little scary sometimes for me since I’m slightly afraid of heights. A selfie from the top of the Burj Khalifa! Is there anything you CAN’T do in Dubai?? 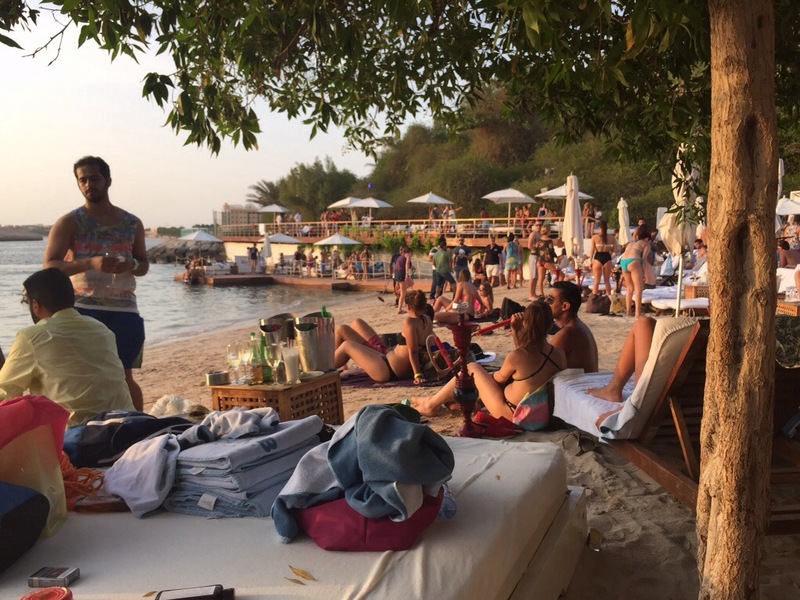 We took a trip to Blue Marlin Ibiza, a private beach club near Abu Dhabi. This club took me straight to Ibiza with the European theme. The food was amazing, the people were friendly, and the water was crystal clear. 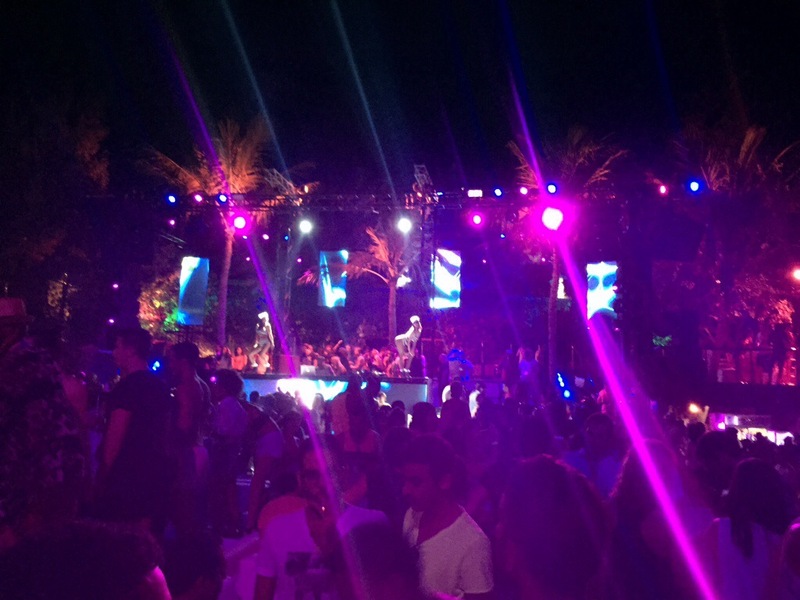 During the day they have complimentary paddle boards to enjoy in the water, and by night it transforms into a club! The music was great. Aquariums are everywhere! 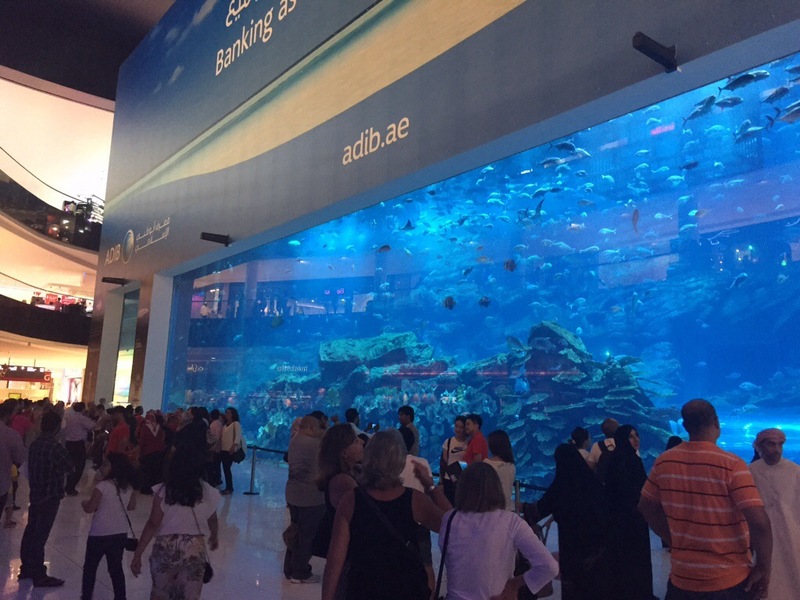 You will probably see a breathtaking underwater zoo at least once a day in Dubai. Here is one we found at the Dubai Mall. Palm Island: Yes, the island shaped like a palm tree! 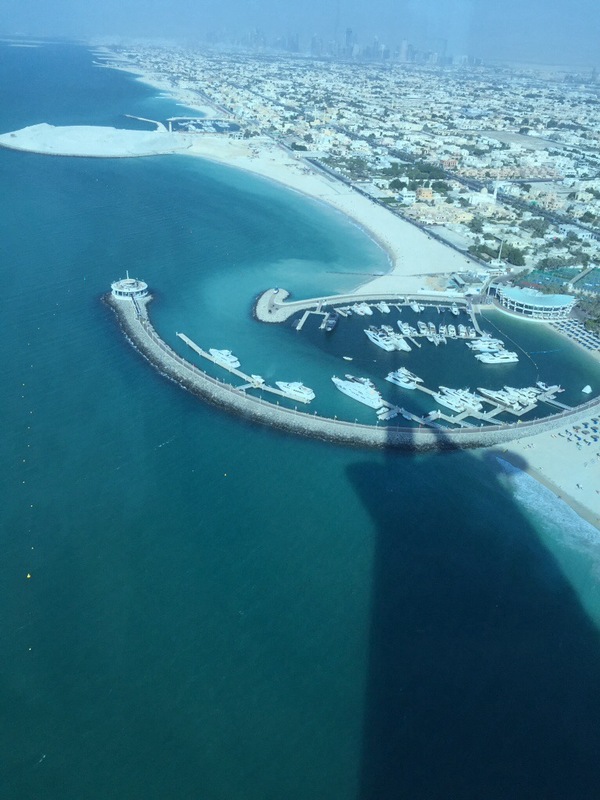 Dubai has three of these, but the main on is the Palm Jumeirah, which is also the host of the Atlantis Dubai Palm Island resort. On Palm Island, we visited the aquarium inside the Atlantis resort. 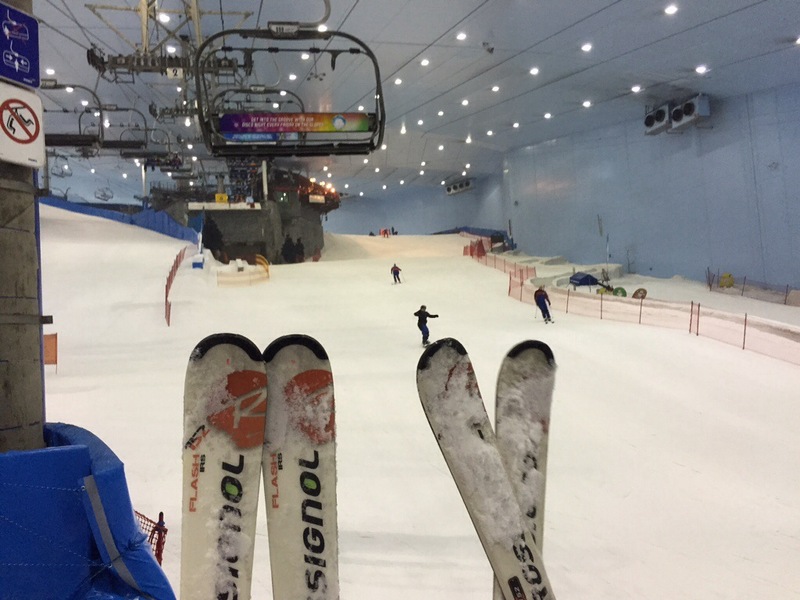 Ski Dubai: As a ski lover, I had to stop by the indoor ski resort inside the Mall of the Emirates. WOW. Once you enter the area, you would feel like you are in any other ski resort. You can rent skis, ski suits, and snowboards. Complimentary socks are provided but gloves aren’t! It gets very chilly in the ski resort so I recommend bringing gloves and a scarf. I came from the beach to the ski resort, so underneath my suit I had on a sundress and a bikini! Dubai Desert Safari: After our ski day, we went on a desert safari. A driver meets you at your hotel or residence and takes you directly to the desert , with one quick stop at a souvenir stand, where you can get food, water, ice creams, and safari-themed souvenirs. I picked up a head wrap. Once in the desert, fasten your seat belt! The driver takes you on a crazy ride through the sand dunes and eventually to a viewing point. By dinner time, you will arrive at the desert safari camp, where you can go on a camel ride, get henna tattoos, enjoy live entertainment, enjoy shisha, tea, and the delicious food! Burj Al Arab: The world’s only 7-star hotel. Ummm wow. In this hotel, you are surrounded by luxury. 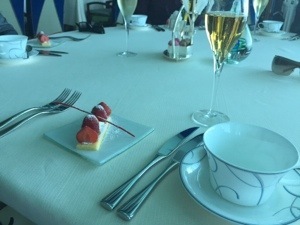 Our lovely hosts too us to have high tea at the top floor of the Burj Al Arab. You can enjoy unlimited teas and coffee, and about 7 courses of tapas-portioned food. 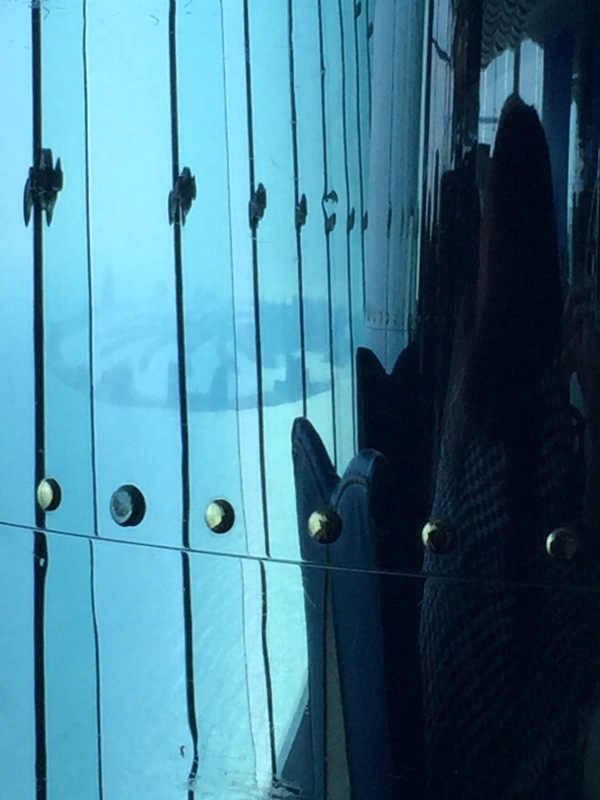 The reflection of Palm Island off one of the columns in the restaurant. A panorama of one of the lobbies. Yes, those are aquariums lining the staircases! I am loving it here in Dubai. The people are friendly and the food is incredible! It’s very multicultural and you can meet all kinds of people from every part of the world here. 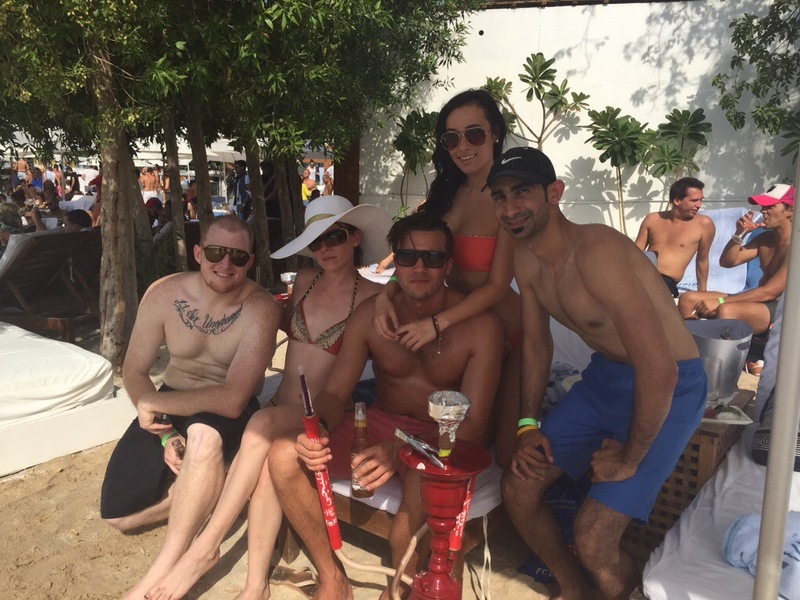 If you are ever given the opportunity, I strongly suggest a visit to Dubai! You won’t be disappointed. Dubai is really a place to be! If you have dreams of travelling the world, Dubai must never miss the list. Its advancement to everything really put Dubai at the edge among other countries. what i really like about Dubai is their medical procedures. I have seen the amazing part of science and medicines when I visited Marina Medical Centre. 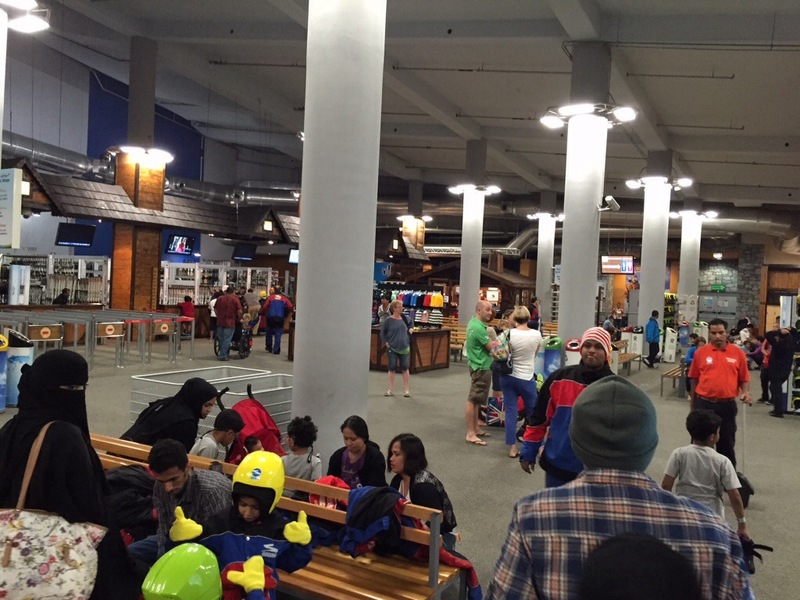 wow, that indoor ski resort looks so real! City of dreams for sure!!! !